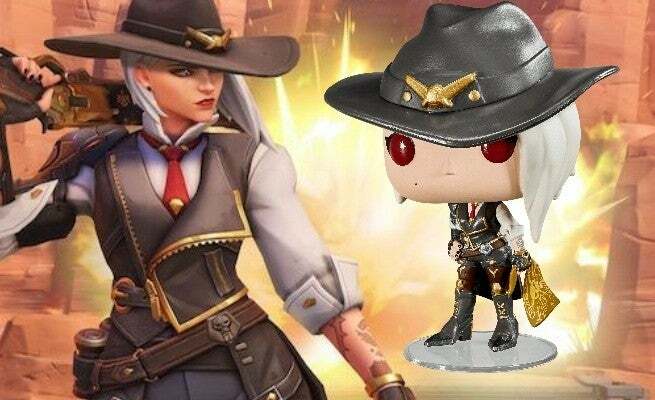 Today not long after Blizzard revealed that Overwatch's 29th hero would be Ashe -- leader of the Deadlock gang and a former romantic partner of McCree -- Funko Pop did what it does, and announced an official Funko Pop of the western-themed heroe. A release date for the Funko Pop hasn't been divulged, but pre-orders are live and being taken at the Blizzard store and other outlets. In addition to a new Funko Pop, Blizzard has revealed a host of Ashe and Deadlock gang merchandise -- including a charm keychain, a bandanna, and a messenger bag -- but unfortunately it is all currently out of stock. 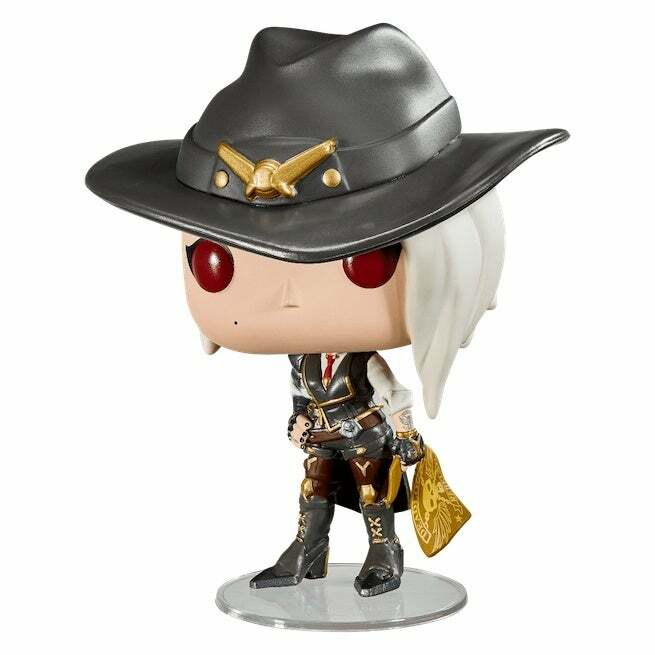 Whether Blizzard will re-stock the items, is unclear, which means you might just to have to settle for the Funko Pop if you want some Ashe collectibles. "Ashe is a damage hero who brings a whole arsenal of abilities to the table, including Bob, her trusted omnic sidekick, who can be summoned to knock enemies in the air and lay down suppressing fire with his arm cannons. She can also detonate sticks of dynamite and blast enemies away with her Coach Gun—or aim at distant bad guys with her Viper rifle." Overwatch is available for PlayStation 4, Xbox One, and PC. While some expected Blizzard to announce a Nintendo Switch port of the game today, there was no such reveal, seemingly putting the nail in the coffin of a port to Nintendo's hybrid platform. For more news and coverage on the hero shooter, click here.